The story which began with the mini-series V comes to a stunning conclusion in this made-for-TV sci-fi adventure. A race of reptilian creatures from another planet arrive on Earth, disguised as humanoids and claiming to come in peace in a search for needed water and food. However, their true motives soon become evident when they take control of the world and begin eating humans for sustenance. A ragtag army of Earthlings form an underground resistance army, leading to a final apocalyptic showdown between the humans and their new rulers. 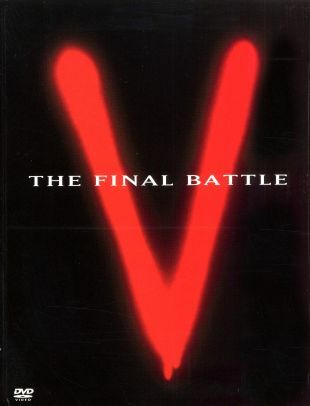 V: The Final Battle reunites most of the original cast of V, including Marc Singer, Robert Englund, Jane Badler, Andrew Pine, and Faye Grant. Followed by a short-lived weekly series.